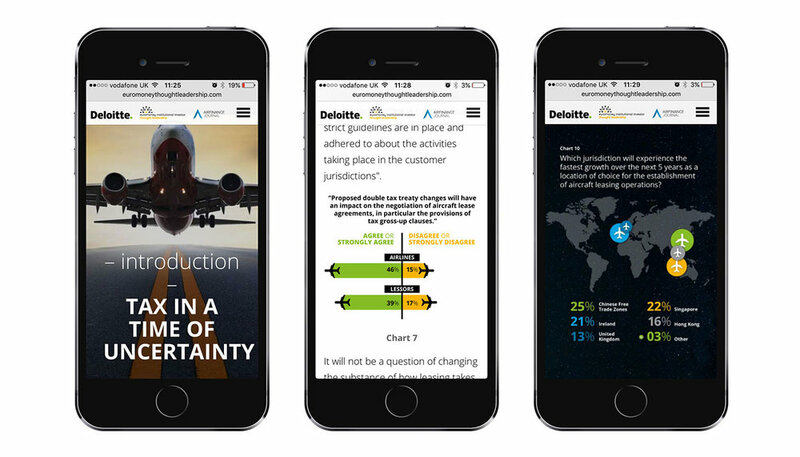 In December last year, I wrote about designing a Shorthand report for Euromoney Thought Leadership and Deloitte on the aviation tax industry. Well, it won 'Communication with a Difference' in the Shorthand Awards 2017! Woo! Kudos has to go to Shorthand for making such a great platform which makes it a joy to create data-driven stories, and to Euromoney Thought Leadership who really understand how to interpret data to tell a compelling narrative. Shorthand has just launched Shorthand 2.0, so I'm excited to get my hands on that in the coming months and play with the new features and tell more stories! This brings to life a topic that perhaps could be considered more 'dry'. Well done to the team for trying something different. Check out the other amazing award-winning stories here. At the beginning of this year I had the chance to work on an exciting new cocktail creation from the geniuses at LAB 5. Cocktails &. is a drinks experience platform that delivers quality craft cocktails at high speed and large volumes. Founder, Fran Woodford, had a clear vision for a brand that was minimal and chic, with beautiful cocktails as the central imagery. I helped to execute and deliver the concept in striking black and white with small streaks of fresh colours. The launch event was at pop-up cocktail bar on the Fashions Lawn at Auckland Cup Week. It attracted the well-heeled and fancy-hatted in an instagrammable setting. how do you make tax data compelling? 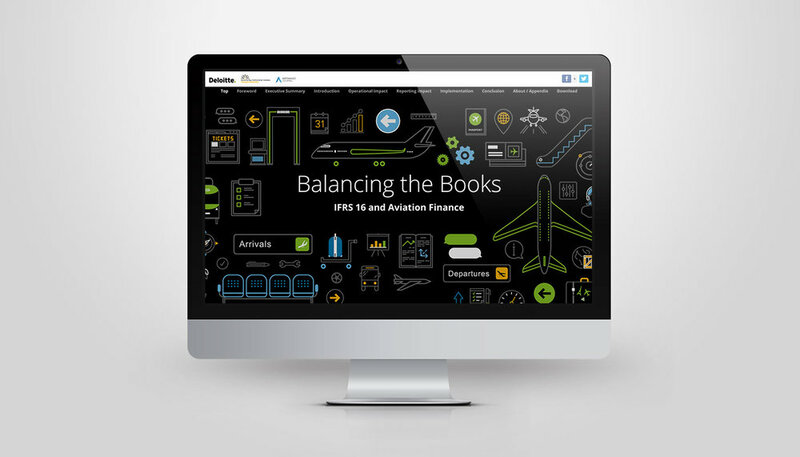 In January, I created a report for Euromoney Thought Leadership (EIITL) and Deloitte on the aviation tax industry. A few months ago they came back to me to create another report, this time on how the introduction of a new international accounting standard will reshape the balance sheets of companies that rent valuable equipment. The previous report used photography to help tell the story, so we wanted to try something different this time around. Animated gifs constructed from aviation-themed icons in the Deloitte and EIITL colours created a bright visual language. 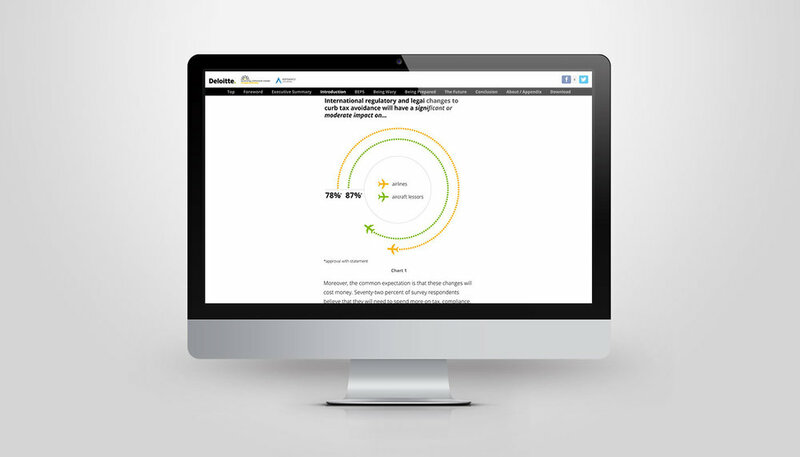 I used colour to theme the report sections, and created featured charts that referenced aircraft dashboards, departure boards and radar screens. (it's fully mobile responsive, but looks best on a desktop). 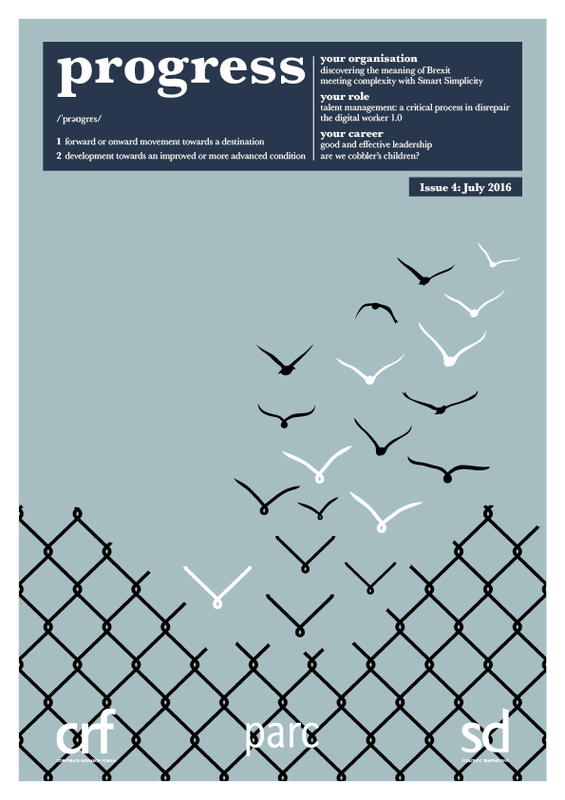 There is also a downloadable PDF available at the end of the report. I've been working in-house at MarketInvoice as their designer since 2015. During this time, they have grown from being a distruptive start-up offering invoice finance into a more established business finance company with multiple solutions. With this growth came the need for a new identity to better reflect MarketInvoice's positioning. MarketInvoice hired Shoreditch-based agency SomeOne to develop a new brand. They took inspiration from the notion of positivity that sits at the core of the MarketInvoice ethos. Businesses can face a lot of complexity and challenge when it comes to getting funding, so the new brand is bright and bold to challenge the status quo. SomeOne developed the core branding elements - logos, fonts, colour palettes, tone of voice, and some key mockups and brand guidelines to show direction. They handed this toolkit to us and we executed the brand across all collateral. It was the biggest brand overhaul I’ve worked on to date, and the organisation and coordination involved to get the new brand live on the launch date was exciting. One of the biggest challenges was defining the rules whilst nurturing the new brand. We were conscious that every decision we made, whether on the opacity of a gradient over a picture, the hierarchy of typography sizes, even the type of bullet point, would have far-reaching consequences. Every decision was noted and added to the brand guidelines so that the brand is robust and consistent for years to come. 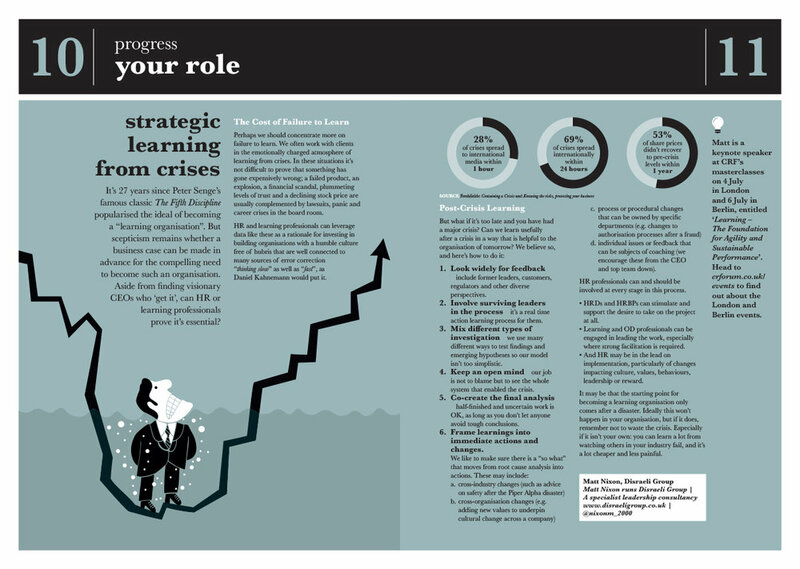 There was also the challenge of education within the wider MarketInvoice team. We had to hunt out existing collateral, rebrand it, educate the team on how to use the new brand and to banish pesky elements from the old brand that kept finding their way back in. It culminated in a 1 am finish: the new website live, all social platforms updated, all new marketing materials printed, all new brand welcome packs for staff laid out. And then we were there. Read MarketInvoice's blog on the rebrand here and see some of the work that I have created for MarketInvoice here. 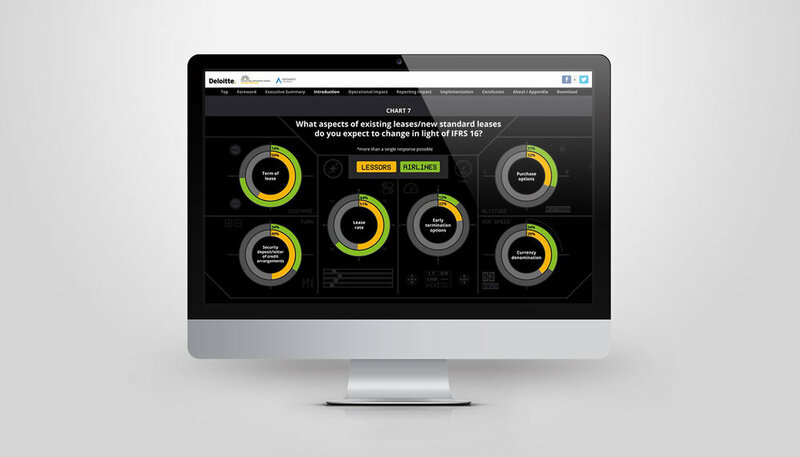 Nucleus, a commercial finance company, needed an infographic to help explain one of their products. A business cash advance works by allowing small businesses that sell goods via credit cards and debit cards to get a loan. They then repay that loan as a percentage of their daily credit card takings. This means that whether the business has a good day or a bad day, they only repay what they can afford. 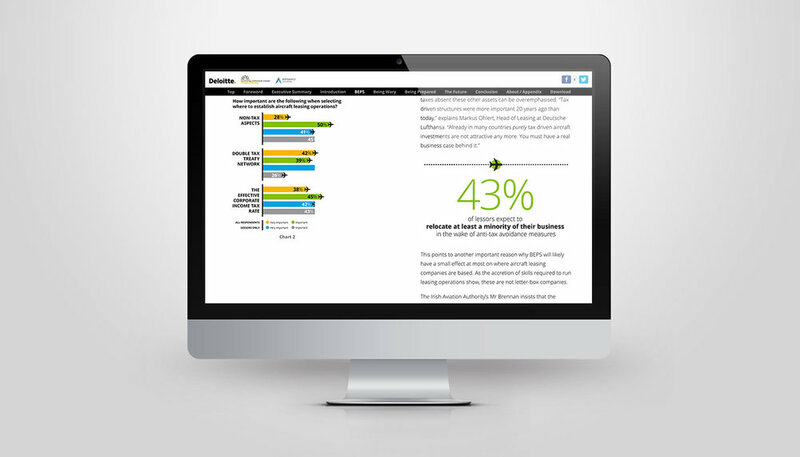 Nucleus wanted the infographic to be character-led, and to have the ability to translate well into an animation. One of my favourite things about freelancing is that it allows me to squirrel away morsels of knowledge on a variety of topics. Cryptocurrencies? Can give you a shaky run down. Main players in the Syrian war? I can regurgitate information written for 10 year olds. 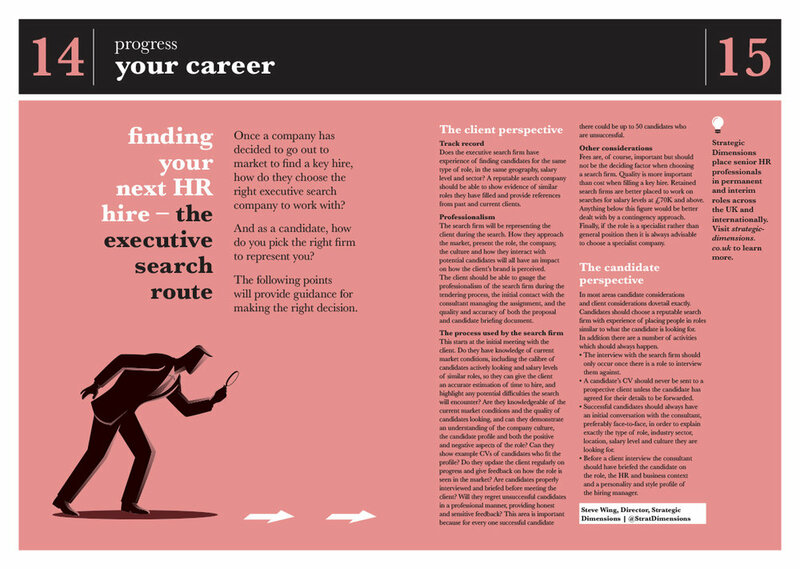 Strategies for developing talent in a FTSE 500 company? I can name a few. My favourite new morsel involves cocktails. Specifically a Nick & Nora glass. Named for a husband-and-wife duo in the 1934 film The Thin Man. Apparently it's a deeper, more spill-proof cousin of the coupe glass, and has recently made a comeback in the cocktail world. This morsel came via some recent work I did for BACARDI, celebrating their 2017 BACARDI Legacy Global Cocktail Competition. 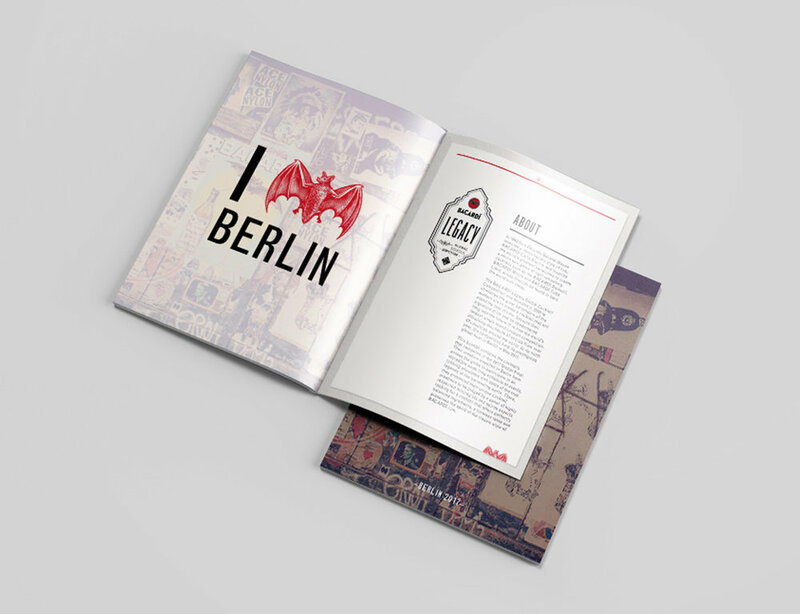 The event took place in Berlin in April, and I was tasked to create a recipe book that showcased both the incredible cocktails designed for the competition, as well as the atmosphere of the week-long event. I was lucky to work with beautiful photography, a lovely brand palette, and as always, the amazing people at LAB 5 Agency who run the competition. MarketInvoice always throws a summer bash for the team, and this year it's on a boat on the Thames. Head of People, Anouk, revealed that she's a dab hand at creating origami boats, so I created a design to work with the folds. Come Monday morning, everyone got a little boat invite on their desk. In late April, with an upcoming holiday back home on the horizon, CRF got in touch to see if we could squeeze in a new issue of Progress before I left the UK sans laptop. With a 3 week turnaround, 6 articles yet to be commissioned, but full trust in the well-oiled machine that is CRF, we went for it. The theme, unsurprisingly, centred around the changeable times we live in, full of political, economic and societal uncertainty. Most people have heard of Bitcoin. Most people can't explain exactly what it is. But the subject of digital currencies isn't just restricted to Bitcoin - there is the prospect of mainstream centralised currencies and how they could affect developed market economies. The multinational law firm Baker McKenzie teamed up with the good people at Euromoney Institutional Investor Thought Leadership (EIITL) to create a cryptocurrencies hub that would help to explain some of the challenges of this new financial world. One of the requests was to create an infographic that would help to explain the different types of currencies. EIITL came to me, and together we worked through the subject to work out the best way to show a complicated topic. As the centralised currencies currently don't exist, and the decentralised currencies wildly differ, we needed to keep things simple. In the end, we settled on a flow chart that showed how the currencies were similar or different, under several broader themes. Tales Toolkit provides interactive, child-led resources using easy to remember symbols to represent story structure. It's run by Kate, an ex-teacher who had worked in areas of high child poverty. 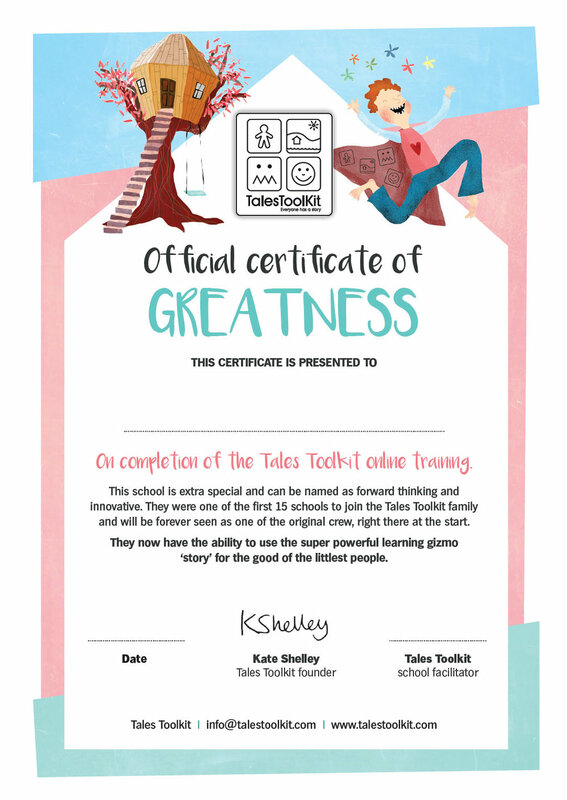 She found that lots of children entered school low in language, confidence, creativity and social skills, so she developed Tales Toolkit to overcome these issues. Kate was introduced to me by Aisling from The Grub Club, who I'd worked with recently. Kate had a great new website in the works, fantastic bespoke illustrations to tell the story, but needed some materials to help spread the Tales Toolkit gospel. I've worked on some flyers and a brochure, created a MailChimp newsletter template, produced a few web banners and designed some certificates. Lucy, the delightful content editor at The Economist Educational Foundation, wrote a piece for the Guardian on getting young people discussing and debating the news. This is something that we are fostering in the Burnet News Club, and is very close to our hearts. For the feature image, the Guardian used a photo that I took last year of a group of our Burnet News Club students. Six months ago I created a report for Euromoney Thought Leadership (EIITL) on Shorthand, a digital storytelling platform. The feedback from EIITL and from their client Baker & Mackenzie was incredible, so within a few months, EIITL were back with a new client, a new subject, and a new Shorthand challenge. 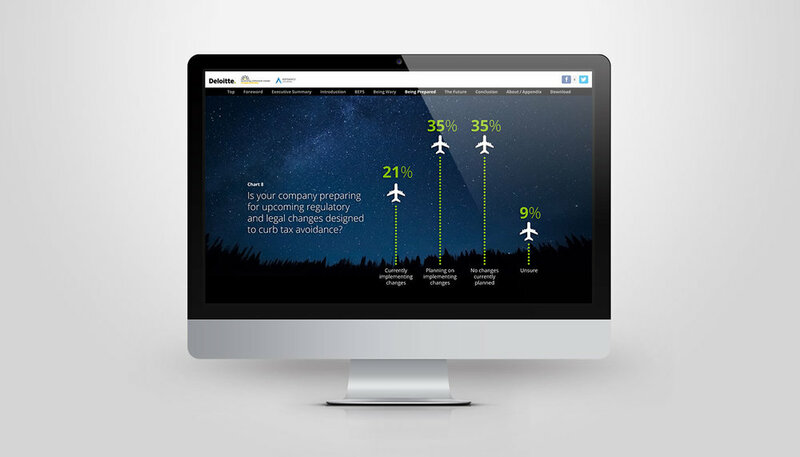 They were working with Deloitte to dig into the tax and related regulatory challenges facing aviation finance. Immediately I was excited as while tax is not a thrilling subject to visualise, the aviation element conjured up all sorts of interesting images. Shorthand had also upped their game in the previous months and had introduced a full screen reveal feature which meant that charts and graphs could build in a more exciting way. 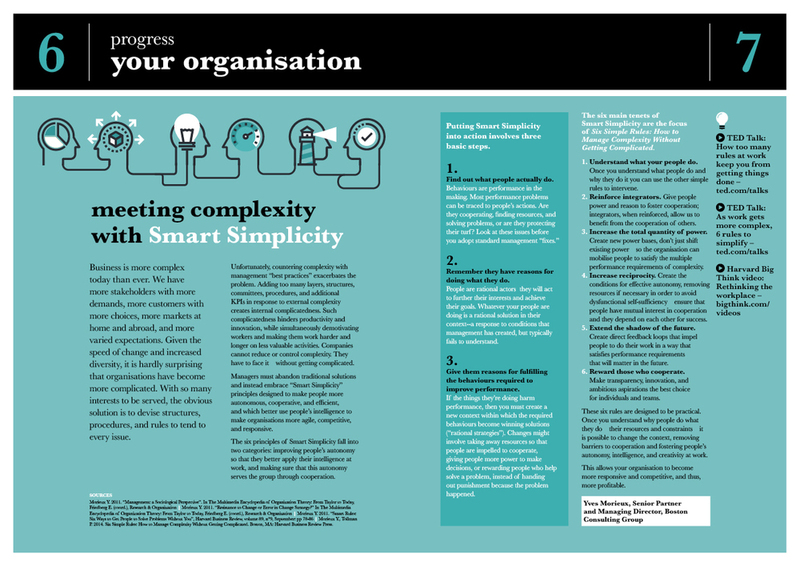 I worked closely with EIITL to define the branding (Deloitte led, but with EIITL elements) and work out the best charts and statistics to feature. I'm really happy with the result, and once again, thanks to Shorthand for building such a great product. The wonderful Silver Ghost Communications and I go way back - we have known each other since we were toddlers and followed each other through school, ending up in London together. She has recently gone freelance and this was our first project together. The challenge: Since 1992, Gerrard International have been providing professional beauty products to UK spas, beauty salons and mobile therapists. As their range has grown, it's become more difficult to explain their offering to potential clients without overwhelming them with heavy information packs and product brochures. The solution: A portable A5 folder that introduces Gerrard International with individual product cards that slot in. The folder provides the story and history of Gerrard International, while the product cards provide a brief overview of the each product line can be easily updated and swapped out depending on what is relevant for the potential client. To tie all the products together, we designed a passport theme with a "world of beauty" stamp. This has been so successful that Gerrard have now redesigned their business cards and event stands to use this theme. It's a rare Tuesday night without any work to do, so I'm going to write a little update on what I've been up to recently. In all honesty, I'm waiting for a film to download so rather than twiddling my thumbs I thought I'd be productive instead. And so, what have I been up to? Some logo design, some brand guidelines, a new website for the Foundation, a whole lot of wedding invitations, and other bits and bobs. The Grub Club is an amazing initiative set up Aisling Kirwan, an ex-teacher with a love of cooking, that provides free cooking classes to low-income families. School children and their parents attend the class to learn how to cook nutritious and affordable meals in a fun environment. The club is based on the knowledge that when we eat well our brains can function fully and we can reach our full potential. Aisling came to me asking for a new logo that was fun, brightly coloured, conveyed the idea of healthy eating and, most importantly, was approachable and not intimidating. I drew a chubby yellow pepper and overlaid a distressed texture and the Faith and Glory typeface. At the Foundation, our beloved Burnet News Club has just embarked on it's 4th year! And it's a big one – we have 61 schools taking part and approximately 600 students. Our previous website (built on a rudimentary free WordPress theme) had plodded along and allowed us to pilot the blog element for the club, but the cracks were starting to show and it didn't have the functionality that we needed from it. While we have grand ideas for an all-singing, all-dancing new platform in the next 1-2 years, we needed some sort of site for the interim. It had to be WordPress, as we wanted to keep a similar backend so that the teacher's weren't thrown by it and we could keep all the existing accounts, posts and comments. We wanted to show more of the children's contributions, making it easier to see the discussion across the topic. We wanted visitors to the site who had no knowledge of the club to be able to see and understand what we were doing. We wanted it to be responsive, as increasingly the club members are accessing the site on tablets or phones. Finally, we wanted to make the content more accessible for teachers, more visual, more exciting. For this, I thought a magazine style theme would work best, and settled on Domino, from WP Zoom. We've still got a bit of work to do on optimisation, but we've had great feedback from the returning teachers and we're already inundated with comments and posts from the new club members. And as it had been a hectic summer at the Foundation with teacher training, programme design, website construction, event creation, impact reporting and much more, I made my delightful colleagues some presents. So far, it's been a busy summer. Not that it's been much of a summer, thank you English weather. 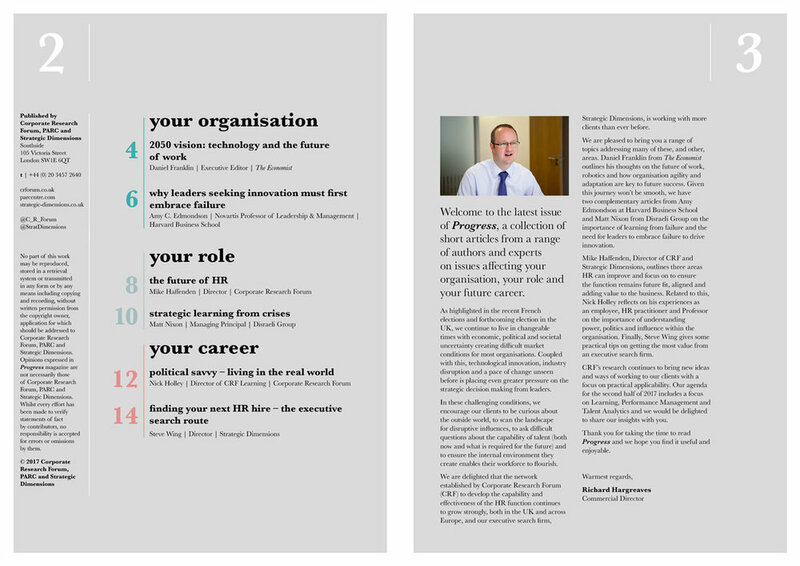 One project that is always a delight, is CRF's Progress magazine. 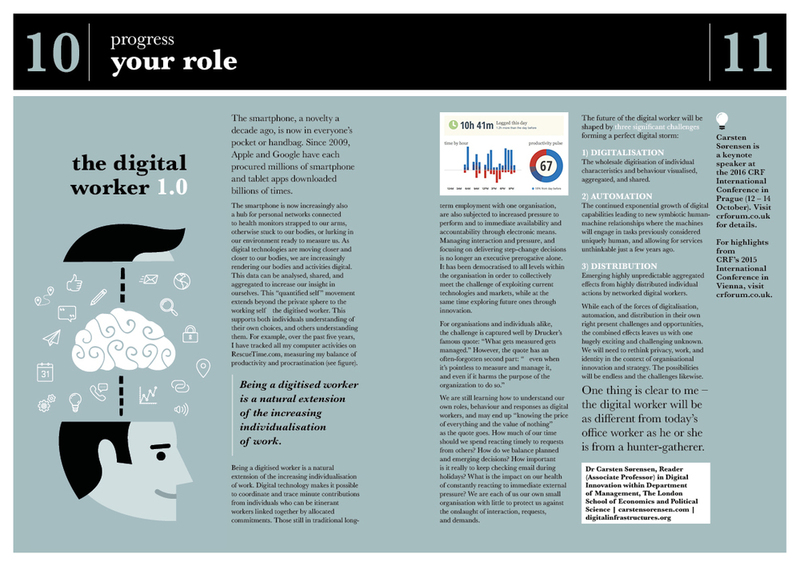 This issue looks at the fall out from Brexit, smart simplicity, and what it's like to be a digital worker. It's been a while since I've had an ad in The Economist, but The Economist Educational Foundation has scored a full page back cover advert, to help promote our Burnet News Club programme. Hip hooray! I took the photograph at Hornsey School For Girls earlier this year - they were the most impressive, thoughtful and eloquent group of students I've met so far, so happy to have featured them in this advert. Find out more about The Foundation here, or find out more about my involvement with them here. Freelancing can be stressful. There are multiple clients, jobs, invoices, expenses, deadlines, schedule clashes. There's a lot to think about beyond just doing the actual work. To cope with this, I use an app called Cushion to help me maintain my sanity. It allows me to input all my clients, projects, timeframes and revenue, and helps me to forecast when I'm going to be busy and when I can take on extra work. I've been using them for about 18 months now, I joined when it was still in beta stage. It's been really cool seeing the platform grow from something quite simple to something that's now really robust with lots of new features, and most of those features have come from feedback from their clients. It's a freelancing tool built by freelancers for freelancers. Recently, the lovely people at Cushion wanted to get to know their freelancers a bit more, so embarked upon a series of interviews, including asking me about the trials and tribulations of being a freelance designer. They made me sound a lot more eloquent than I am in real life, for I'm very grateful. But more importantly, they’ve also immortalised me as an emoji 🙅. Towards the end of last year, Tom from Euromoney Thought Leadership got in touch to tell me about an exciting new project they had coming up. Their client, international law firm Baker & McKenzie, wanted to commission a survey on artificial intelligence and the implications for the financial markets. Not only that, but they wanted the report design to reflect the subject and not just be another stale white paper; they wanted something fresh and exciting. The game was afoot. I was already looking into new ways of online storytelling as a potential medium for The Economist Educational Foundation. The BBC and Telegraph were starting to use scrolling stories with lots of imagery and videos to make complex topics more accessible, including this terrifying look at the Nairobi Westgate Mall massacre. As I collected these examples, I realised that a lot of them were built using an online app called Shorthand – it allows scrolling images, a fully responsive site, and a simple drag and drop build. I pitched the idea to Tom, who pitched it to Baker & McKenzie, and they were on board straight away. Challenge 1: the report needed to be co-branded to reflect both the Euromoney Thought Leadership brand (who were the lead) but also tie into the Baker & McKenzie brand. Challenge 2: the subject of artificial intelligence and risk and regulation is a bit of an abstract concept. I was convinced that I didn't want any robots or matrix-style binary code. However the title of the report was Ghosts in the Machine, which had an intriguing ring to it. It was mysterious and secretive. The ghost in the machine. Something which is there but unseen. Artificial intelligence. A neural network reaching across technology. Explore the idea of an AI ghost using negative space. By showing what is there, you can also show what is not there. Intricate networks radiate out providing pathways for the new technology to act across. A typographical solution, using the key identity colours of both brands, that shows connection and communication. The feedback has so far been incredible, from Euromoney's clients and Baker's team and stakeholders, with no small amount of the credit due to the Shorthand platform for making such a great product. Thanks chaps! Last week I was reminded about the emotional pull that a picture can have. On a trip to London’s National Gallery, my dashing date and tour guide reacquainted me with Piero della Francesca’s Baptism of Christ. As we entered the room with the painting front and centre, a wave of … well, I don’t know what it was, nostalgia I guess … whomped me. I hadn’t thought about this particular painting in 15 years but it abruptly deposited me back to a stuffy prefab building, tucked in behind the school gym, with the stifling smell of hot concrete and cut grass wafting in the open windows. The room darkened so that the photocopied transparencies could be shown on the overhead projector as we dutifully copied down names and dates and foreign words like sfumato and chiaroscuro. Emma and I racing to see who could write faster and produce the longer essays in the set time. Miss Sharp, speaking in hushed tones about the Byzantine influence and the importance of the patron. The feeling of being 17 and in my final year of high school, doing a specialist subject like Renaissance art history, and being both old and young at the same time. While a picture can paint a thousand words, it can also transport you back into another time and another version of yourself. Which leads me on, ever so tangentially, to Sri Lanka. I went there in March, on a trip with two friends. I loved everything about it. It was hot, chaotic, loud, calm, sweaty, spicy, fresh, magnetic, wild, frantic, sweet, cramped, exotic, surprising, satisfying, vibrant, rich, dense. A thousand descriptive words layered onto 17 days of travel. Here are a few of my photos. They don’t properly convey what it was like to be there, but each one takes me back to that place and that time and that feeling. For now I’ll carefully file away these memories and they’ll simplify to anecdotes and stories for the pub, but hopefully these photos will have the same power of the Baptism of Christ to transport a future me back. Xero are the new kids on the block in the accounting world - cool, a little edgy and from New Zealand, they offer cloud-based accountancy services to SMEs around the world. Their product is a bit of a phenomenon now, and as part of that movement they host Xerocon every year. My client, MarketInvoice, as partners with Xero in the FinTech revolution, were exhibiting as Gold Sponsors. 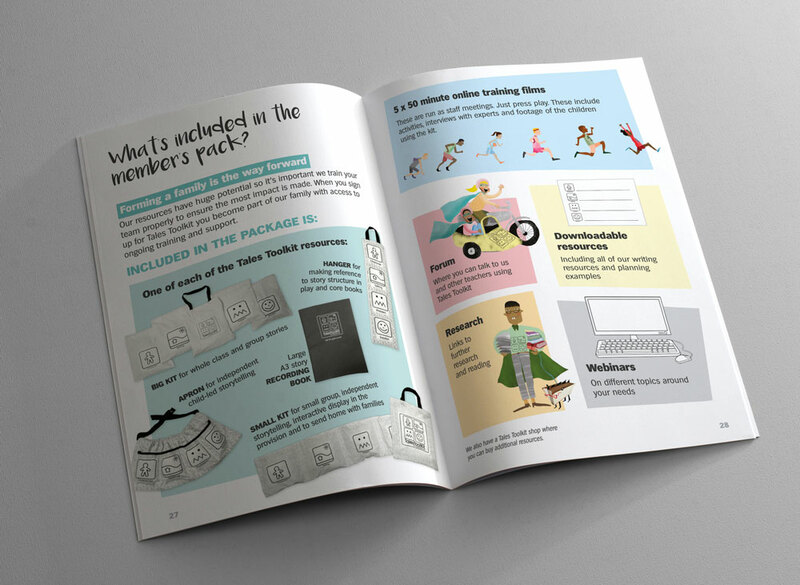 I designed their "Don't Bank On It" guide to Alternative Finance, as well as their stand an other promotional materials, such as promotional inserts and t-shirts.